Good question! It's a group of churches that cooperate together for ministry and missions. They do this voluntarily on a local level, knowing that together we can do more than working alone. Some benefits for a church that's part of an association are: fellowship with other churches, cooperative missions and ministry events and projects, and knowing what you're getting when you go to one of the churches in terms of their beliefs (doctrine). How about Cherokee Strip Association? Our name goes back to the Land Run of 1893 when much of this area of Oklahoma was settled (in one day!). Our association is spread out over 6 counties that were a part of that original land run. At present, there are 30 churches in our association, from Medford in the north to Perry in the south to Fairview on the west and Billings on the east [see maps under Info Center Tab]. What if I want to visit a church? Many of our churches have websites that give their location and times of services, Sunday School/small groups, etc. 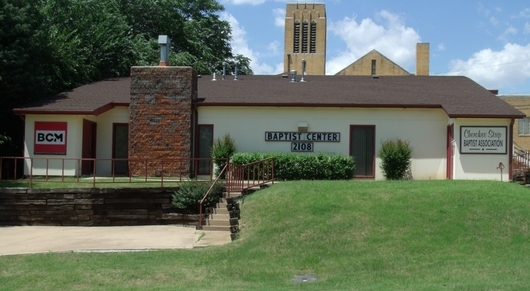 However, if you can't find the pertinent info for the church you want to visit, please give us a call here at (580)234-2512. Guests are always welcome at our churches. Although it might be a little intimidating to go to a new church for the first time, you'll find folks eager to help you feel at home. Is your church in need of resources? We may be able to help you. Please click on the Shared Resources page to view the resources available to your churches through our office. Billy Benson-Garland Road "Bible Translations and Biblical Literacy"